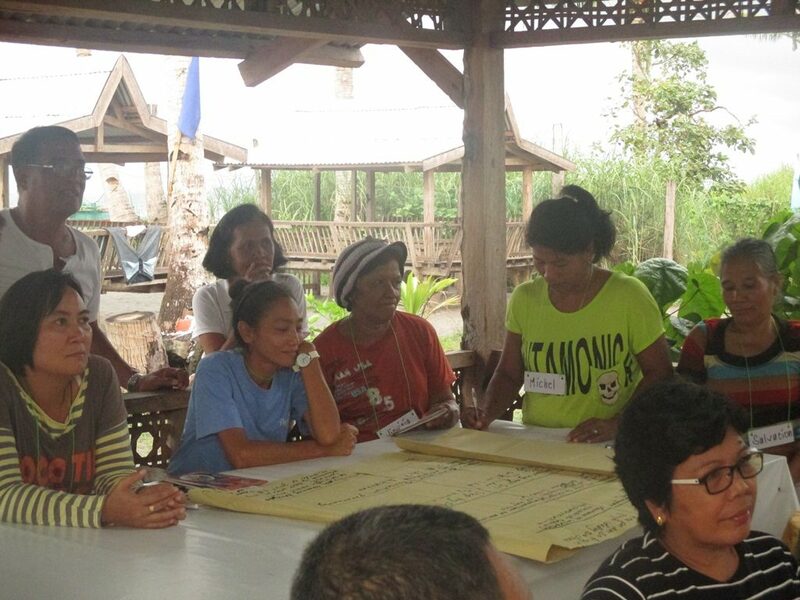 Members of Cabuynan Women’s Association (CWA) plan out their activities for the next three years during the Organization Planning workshop last April. Super typhoon Yolanda (named after a woman) killed thousands of people in Eastern Visayas and in the entire country, many of whom were women. Women who were fortunate enough to have survived continue to struggle hard to rise above the difficulties of Yolanda aftermath—the trauma, the lost homes, and the rising cost of living among others. The women of Barangay Cabuynan, Tanauan, Leyte were not blind to this. Sometime after the storm, People Surge, an alliance of Yolanda victims, started organizing people in Barangay Cabuynan to come up with a more consolidated force in forwarding the demands for justice of the Yolanda victims. 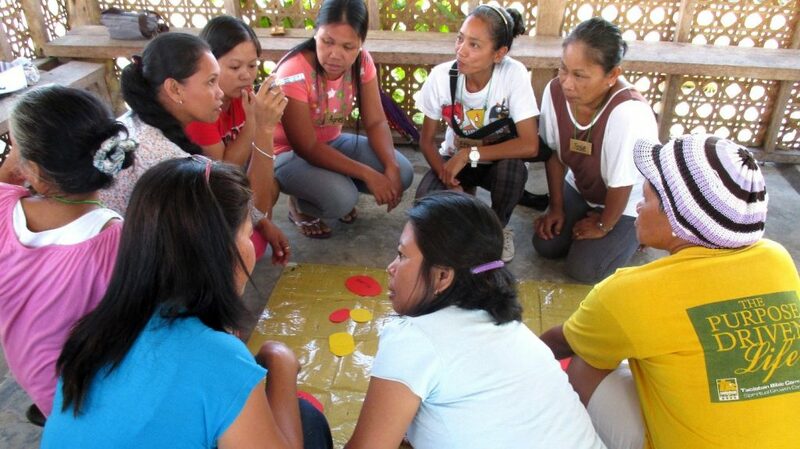 Women of Barangay Cabuynan saw this fit and initiated to reorganize themselves and formed the Cabuynan Women’s Association (CWA), CEC’s partner organization in the community. Marites Duquila, CWA President, reported during the Organizational Planning workshop last April that they already have approximately 50 members. CWA intends to increase their membership from 50 to 130 individual members by the end of 2015. They also plan to hold more frequent pintakasi (community service) and educational discussions so as to draw more women in joining their organization. Moreover, CWA is determined to consolidate their ranks in demanding for the immediate and fair distribution of the Emergency Shelter Assistance (ESA). CWA, together with the Barangay Council, have also actively participated in CEC’s CBDRRM program including the Disaster Risk Reduction Orientation (DRRO), Disaster Preparedness Trainings (DPT), Community Risk Assessment workshops (CRA) and Contingency Planning sessions. During the DRRO held at the Barangay Hall of Cabuynan, 26 out of the 30 who were in attendance were women, while three out of four barangay officials present were also women. 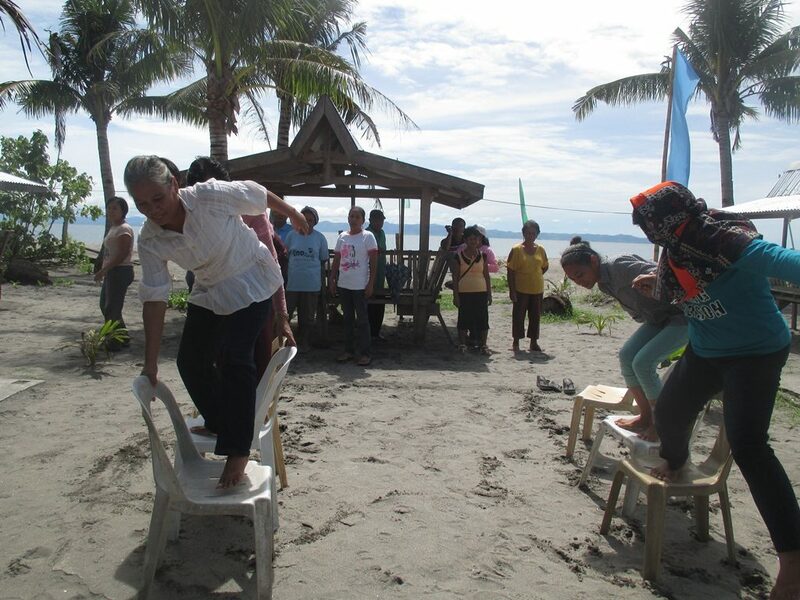 The same trend was manifested during the DPT held at the BISCAFFA Beach Resort where 11 out of 18 attendees were women. 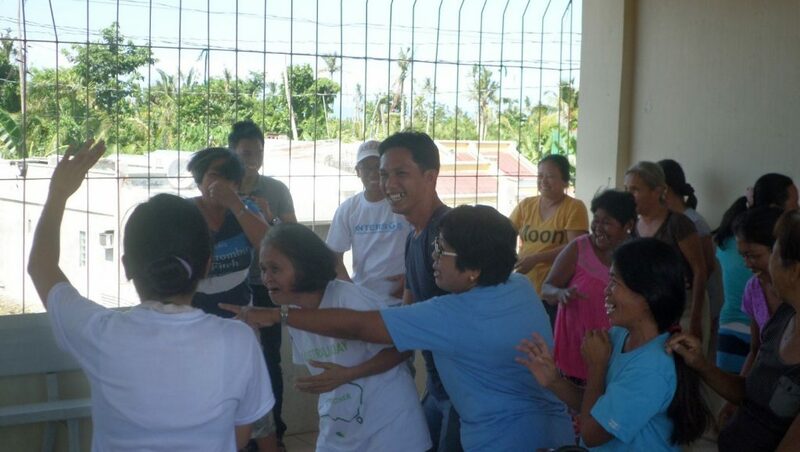 Barangay councilors and CWA during a structured learning exercise. This only goes to show that women’s participation in the decision-making process on disaster preparedness cannot be undermined. While a patriarchal society like ours regards women as vulnerable sectors in times of disaster, we cannot afford to underestimate their active role in ensuring a more resilient community. Barangay Cabuynan, indeed, is a living proof of how women can reverse their gender-related disaster vulnerabilities into a potent force that can guard their communities against disasters. 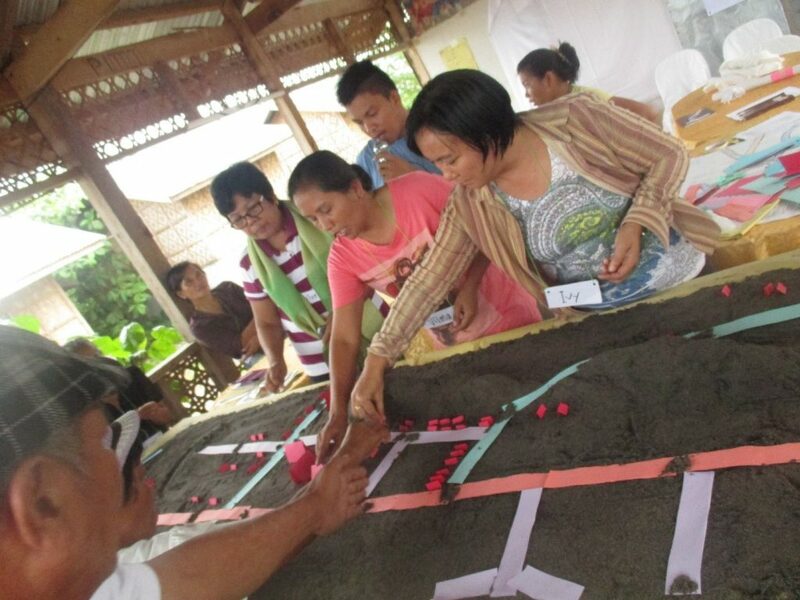 CWA members actively contributing in completing the 3D map of Barangay Cabuynan. CWA in a structured learning exercise that aims to rationalize the need for a community-driven evacuation plan. Getting ready to present their group’s output of the Capacity and Vulnerability Assessment (CVA) workshop.